A cotton scarf with a colorful vases against a tile wall graphic, mat weave, and fringed edges. 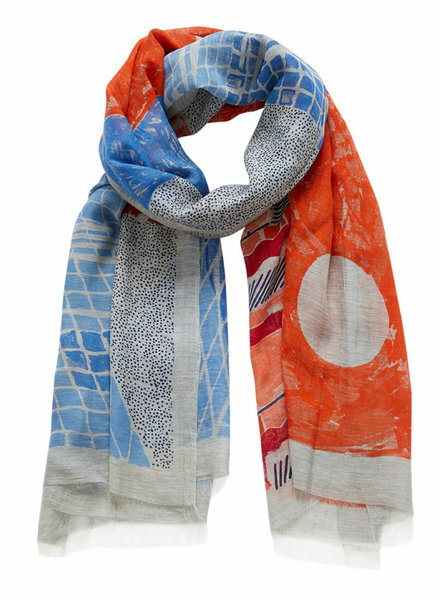 A linen and cotton blend scarf with a colorful abstract graphic, mat weave, and fringed edges. 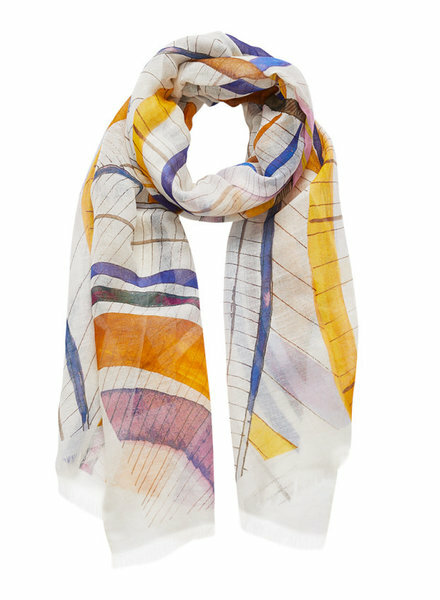 A cotton blend scarf with a colorful rainbow in the sky graphic, twill weave, and fringed edges. 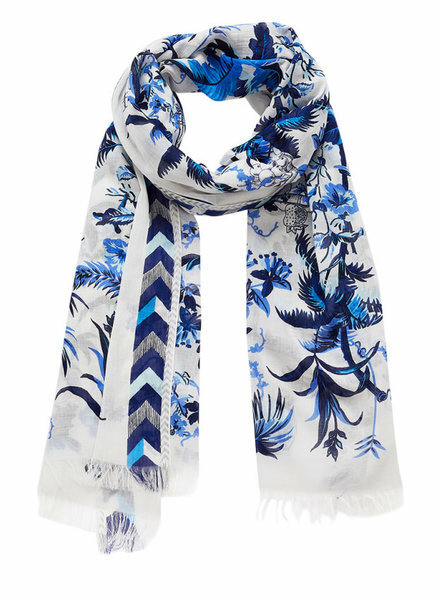 A cotton blend scarf with a blue jungle and book graphic, mat weave, woven lurex borders, and fringed edges. 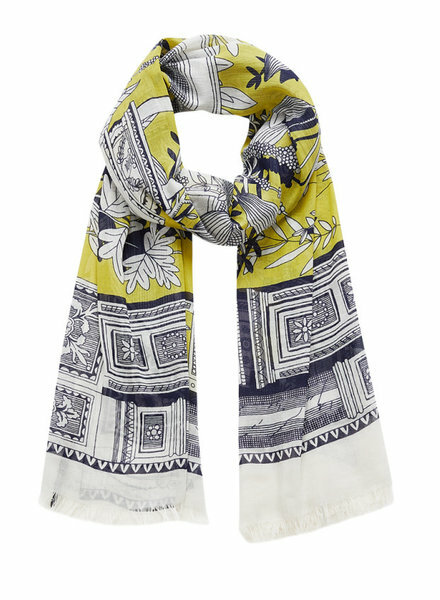 A cotton blend scarf with a colorful ear of corn graphic, mat weave, and fringed edges. 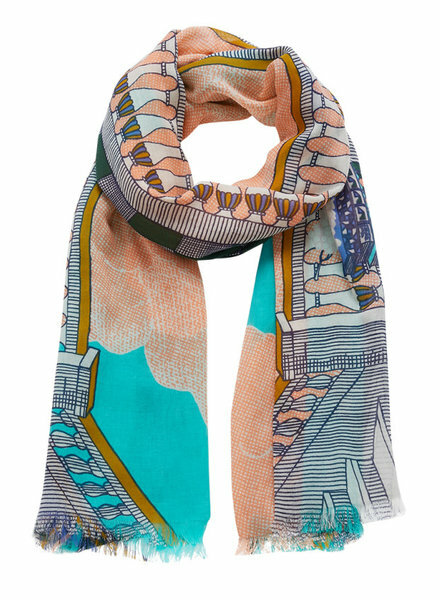 A cotton blend scarf with a colorful outdoor swimming pool graphic, mat weave, and fringed edges. 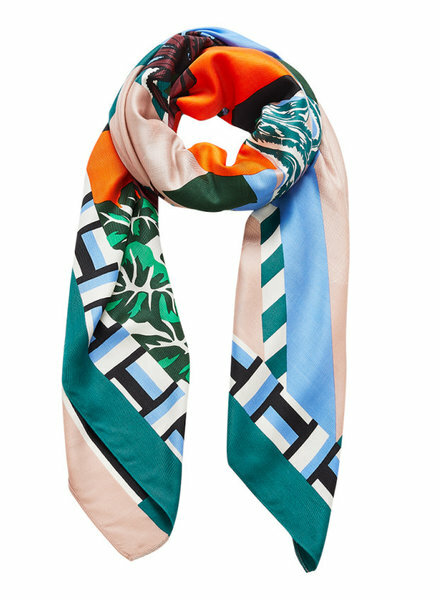 A silk blend square scarf with a colorful potted plant graphic, twill weave, and finished edges. 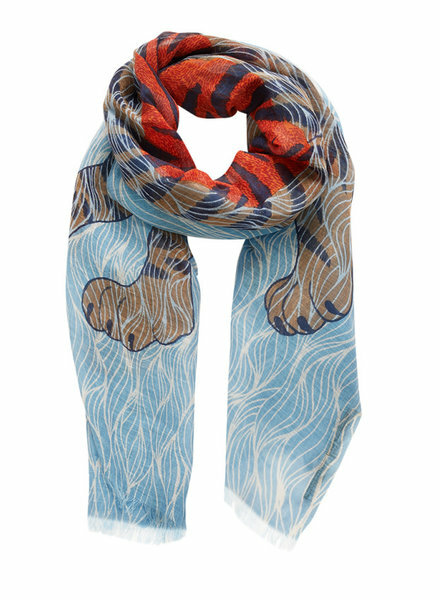 A cotton scarf with a colorful tiger graphic, mat weave, and fringed edges. 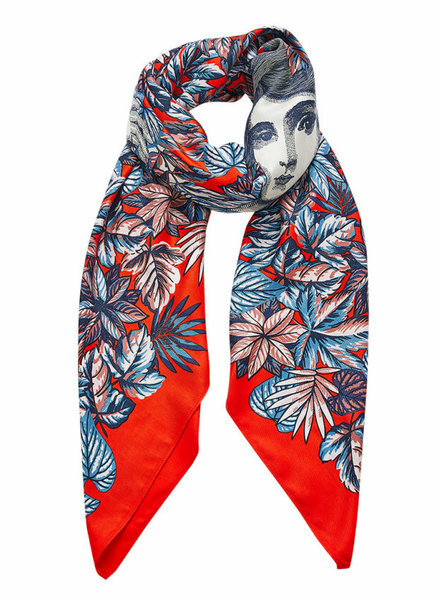 A silk blend square scarf with a colorful lady among leaves graphic, twill weave, and finished edges. 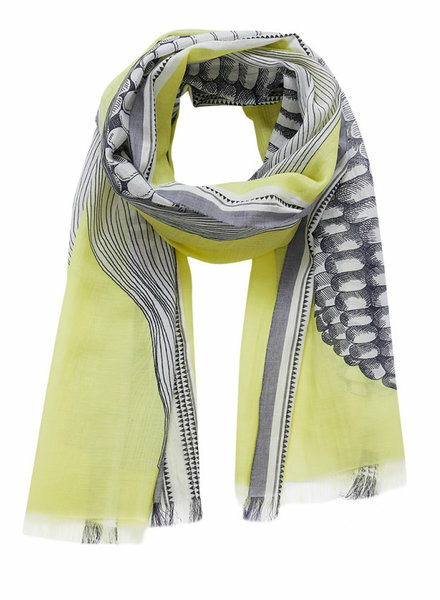 A lightweight wool blend scarf with a colorful fish graphic, twill weave, and fringed edges. 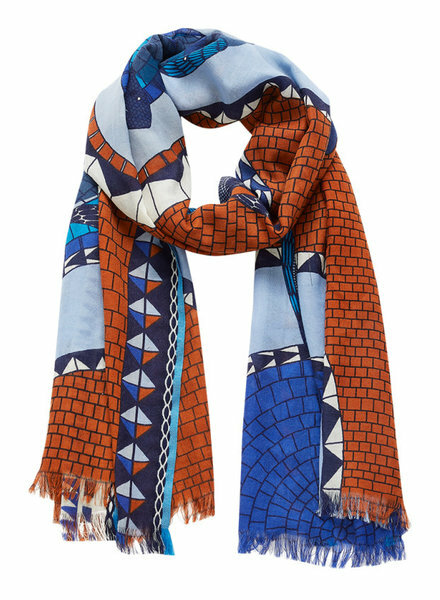 A cotton blend scarf with a colorful tiger graphic, mat weave, and fringed edges. 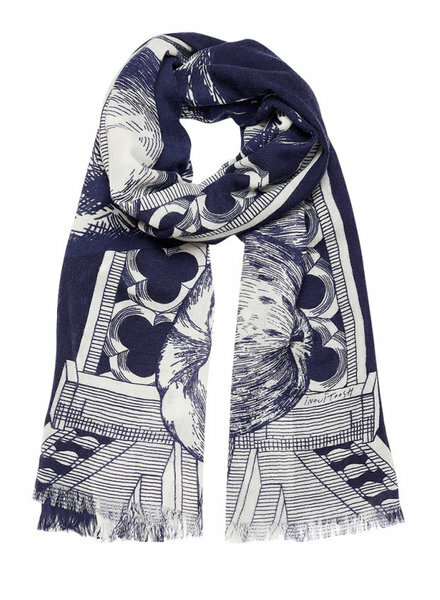 A lightweight wool scarf with a lion paw and apples graphic, twill weave, and fringed edges. 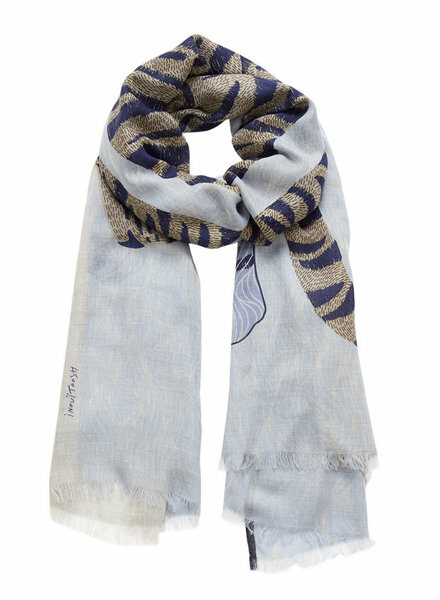 A modal cashmere blend scarf with a muted tiger graphic, twill weave, and fringed edges. 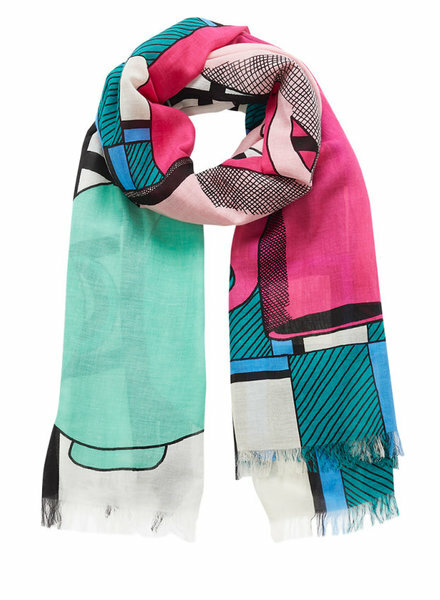 A cotton scarf with a colorful column graphic, mat weave, and fringed edges. 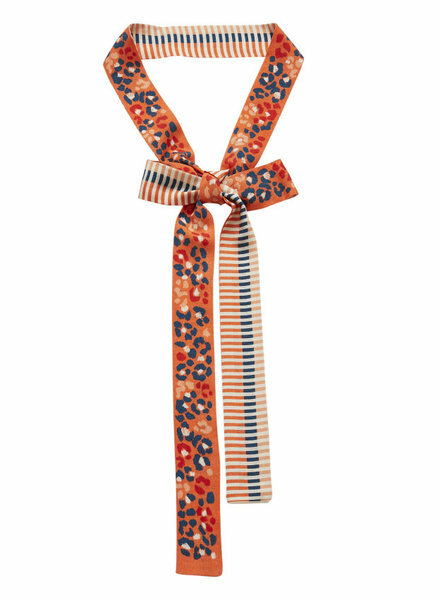 A long narrow silk scarf with a colorful graphic and mat weave that can be worn around the neck, hair, or waist.